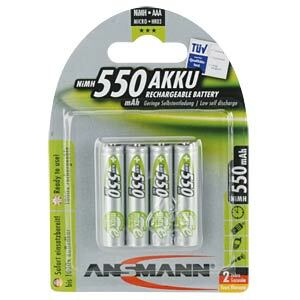 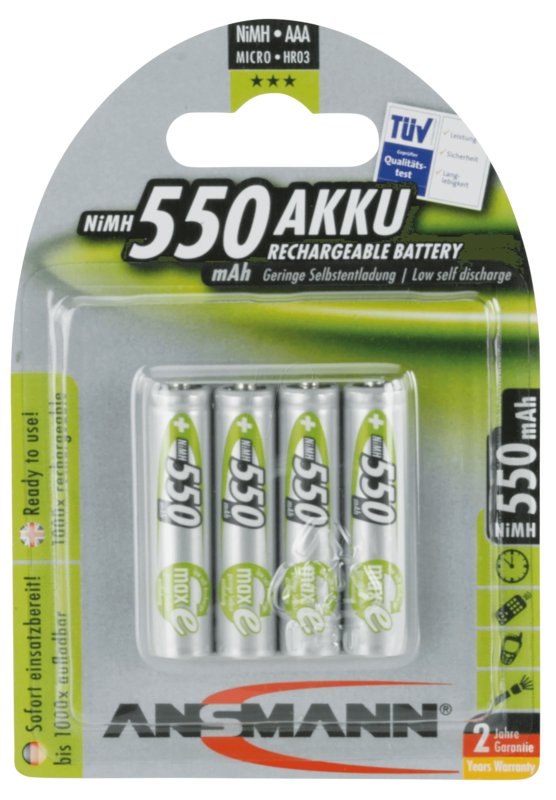 ANS 5030772ANSMANN NiMH rechargeable battery Micro AAA 550mAh maxE 4 pcs. 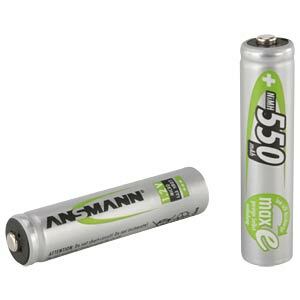 NiMH rechargeable battery Micro AAA / HR03 / 1.2V. 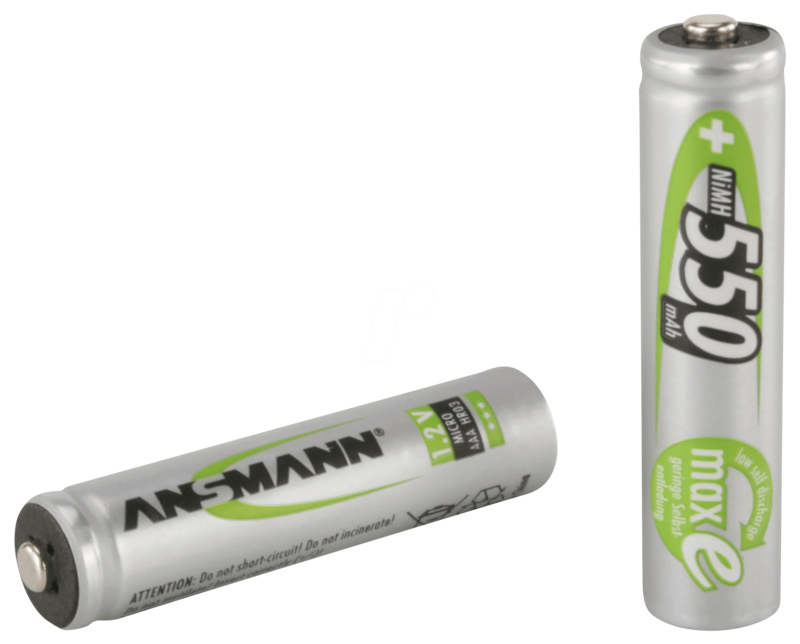 Very low self-discharge in consequence of the maxE technology.